FROM St. MALO BY FISHING BOAT SEVERAL WEEKS LATER. 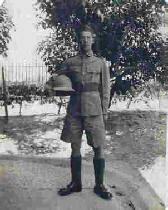 AFTER THE WAR HE WAS STATIONED AT THE SCHOOL OF COMBINED Ops., IN BARNSTABLE. FLOODING THAT OCCURRED IN THE EARLY 1950’s. 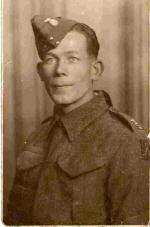 HE WAS THEN POSTED TO WREXHAM AND FINISHED HIS ARMY CAREER IN LIVERPOOL AT SEAFORTH BARRACKS.